Last night we did get back super late. First we went to see my grandmother. It felt like we were visiting santa. I was there with some of my siblings so there was 15 little kids there. They all took a turn sitting on grandma's lap while my sister-in-law snapped photos. Grandma made sure to give all the kids love. The thing I can't figure is that not only does she know all of their names, she knows most of their middle names and the month of their birthdays as well. Amazing. She has at least 30 grandchildren and most of them are married with children now so you know she has a gazillion great grand children. After visiting grandma, we ate at a kid-friendly quick place and went to see the lights. We actually found parking three blocks away. I think that's a record for us! 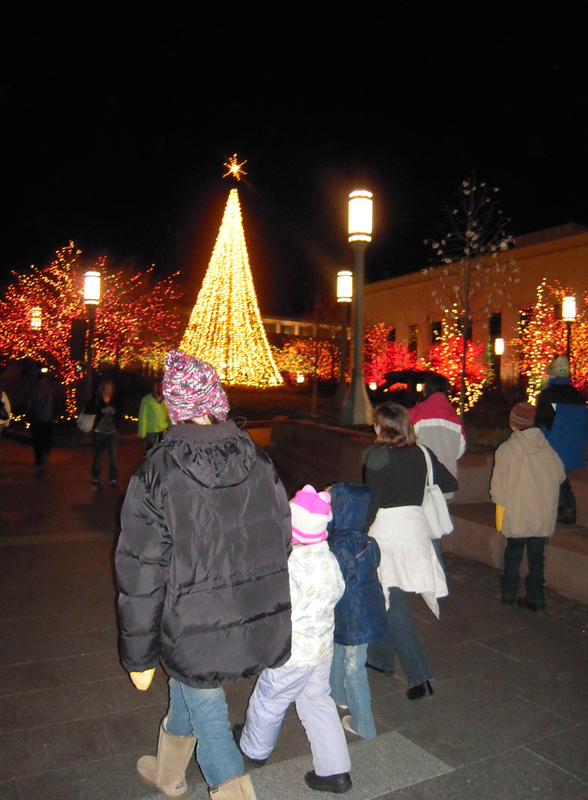 If you are ever in Salt Lake City from the day after Thanksgiving until New Year's Eve, you should try to visit Temple Square to see the lights. Two city blocks right in the middle of town has almost every tree loaded with lights. It is absolutely gorgeous! We make it up there about every othre year. Here is just a snippet. I didn't get great pictures -- just had my little camera. Those who won, be sure to send me an email (kluckau@moosequilts.com) with your mailing address so we can get those out to you. Include your flickr name so I know who you are! The next deadline, for block five, is January 11th. Hello! Seems like it's been forever. I have a few pictures of some handmade Christmas gifts that didn't get posted. I'll have to get to that later this week. I ended up taking an impromptu 1600 mile drive (that's round trip) over the weekend before Christmas to see my brother and his family before they went to Germany for three years. They are there now. It was a great trip. Kids always love seeing their cousins. Hope everyone's holidays were as nice as ours was. I see a few of you have been quilting. Have you recovered from all the celebrations? Today's block is brought to you by Cara Wilson. 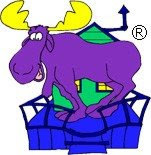 Here's the link to Cara's website: http://www.caraquilts.com/. 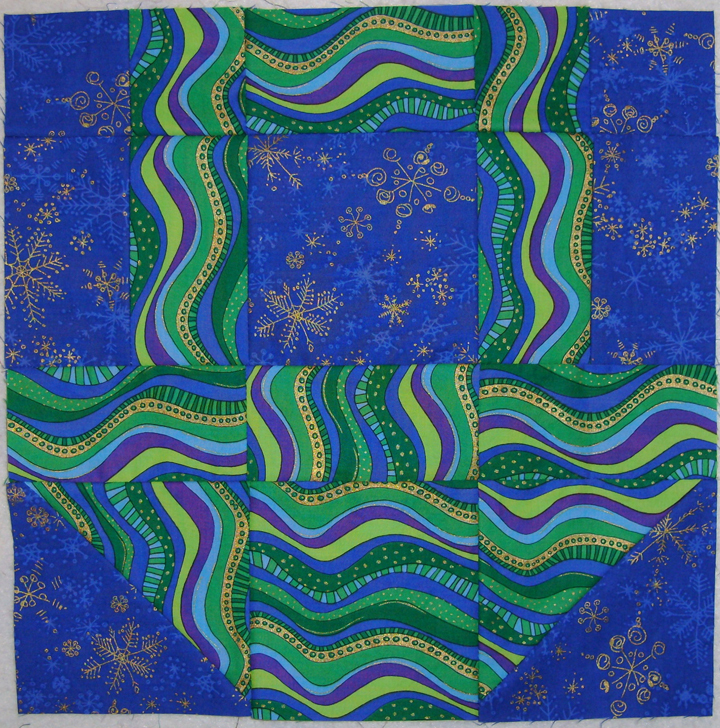 Cara came to us through the Jelly Roll Quilt Along! Hi everyone! My name is Cara from CaraQuilts designs. 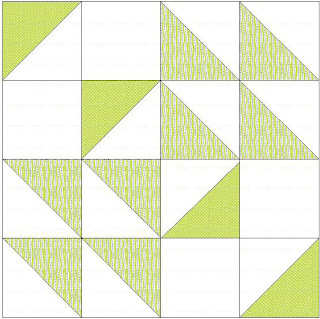 I am so excited to be able to offer you a block for the Layer Cake Quilt Along. 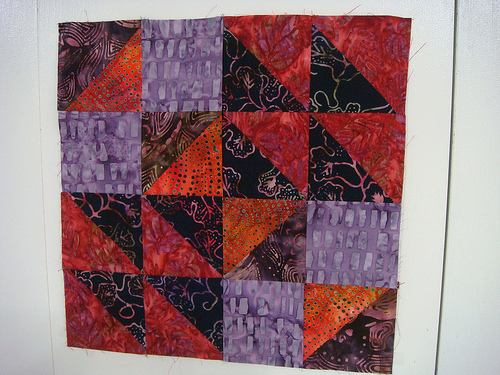 I really enjoyed the Jelly Roll version so this is very fun for me! 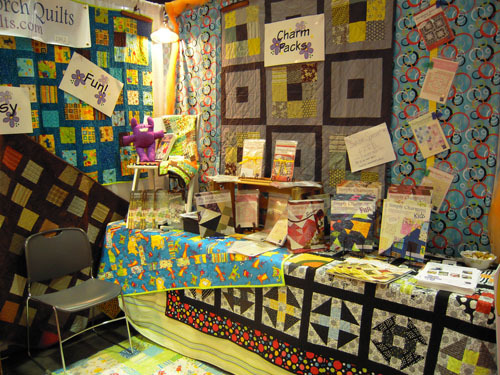 I started quilting in my college dorm room at 18 and have been collecting fabric and quilting ever since! 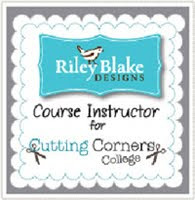 Recently I’ve started creating patterns for Moda Bake Shop, Riley Blake, and will be doing to monthly clubs for Stitchin’ Heaven. 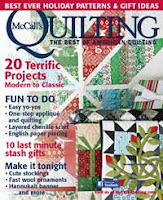 Quilting to me means so much, it is something that gives me calm, it’s an outlet for creativity and individuality, especially when I’m feeling more like someone’s wife or mother than Cara. I love picking fabrics, figuring out what pattern works best, or designing a new one just for them, and then diving in and watching something grow out of it. 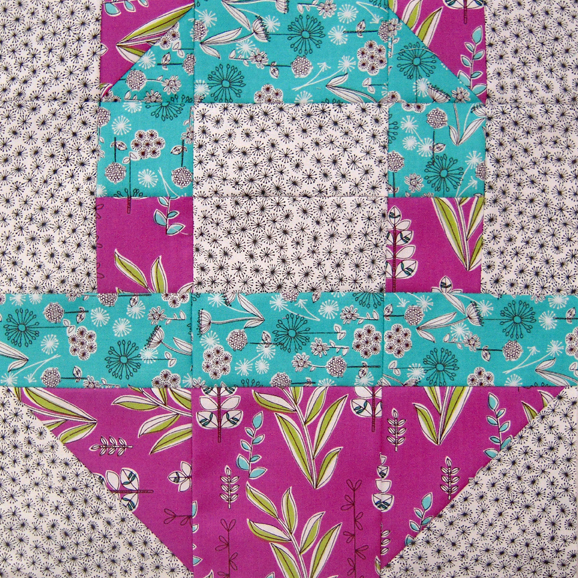 Quilting also gives me a way to send my love to those I can’t be near physically. 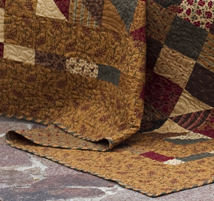 I like to say wrapping yourself in a quilt is like being hugged by the person who made it. Another big thing that quilting is to me is an opportunity to stretch myself and maybe reach further then I normally would. Being scared in quilting doesn’t work so well, so I find myself letting go of anxiety and just going for things. 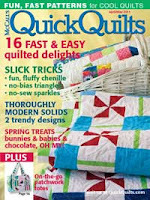 Quilting is soothing, rejuvenating and exciting all at the same time! 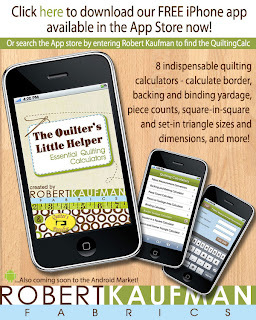 The online quilting community is incredibly wonderful and I have to say there is nothing more exciting for me to watch and help someone new get bitten by the quilting bug and brought over to the fabric side!! 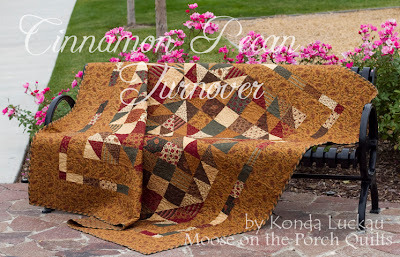 I love quilts and fabrics of all sorts and a sampler is such a fun way to get a bit of everything in a quilt! 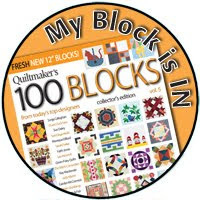 I hope you enjoy my block and have fun making it! CLICK HERE for the instructions to Block Five. Here's a picture of Cara's block. Yes, this is a digital picture. With Christmas and all, I didn't follow up with Cara until yesterday. 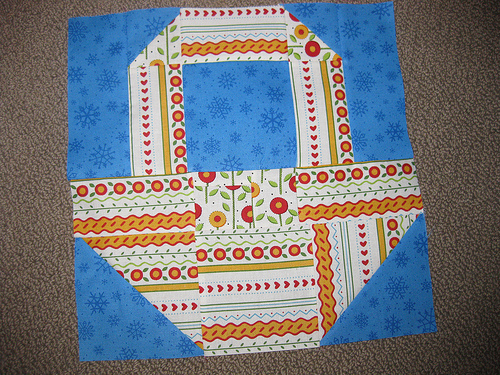 Then I had issues with the block as I made it. So Cara tweeked the block for us. Thanks Cara! 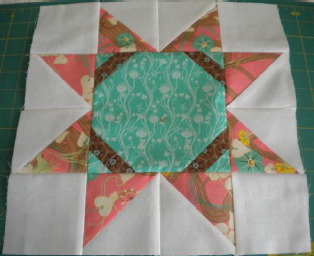 I will get my block done today and post it here. In the meantime, there are usually a few that pop up quickly on flickr for those of you who want to take a look at some variations before you make your. Well, any pictures posted in the flickr group by tonight will be entered into the first drawing. 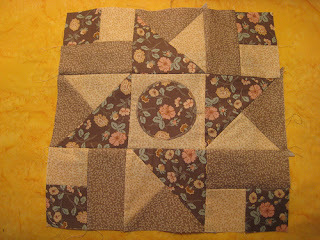 About 10 ish tonight (Mountain Time) I will post my Block FOUR. All blocks BEFORE mine are those entered into the first drawing. It doesn't matter which block - just the one's posted before mine. 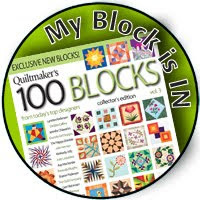 If you post your block AFTER mine, then it will be entered into the next drawing. I will post the winners tomorrow. 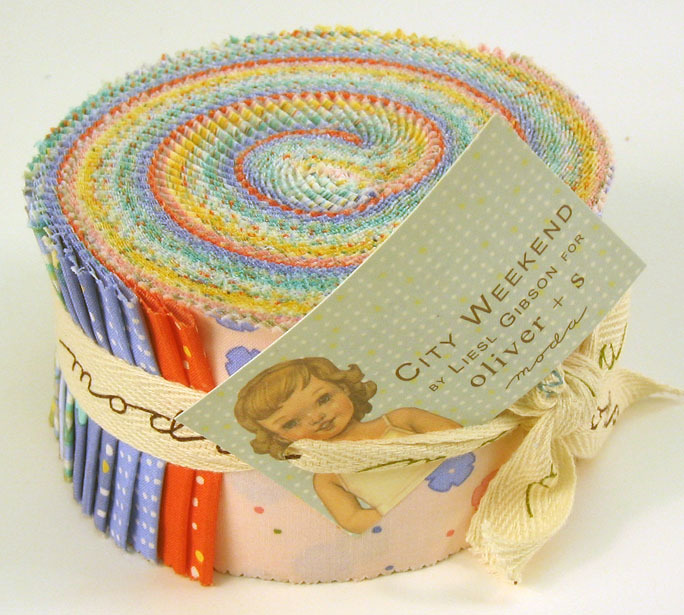 Cara has generously donated a City Weekend jelly roll! 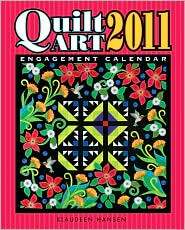 And I, have my favorite calendar/planner to give. 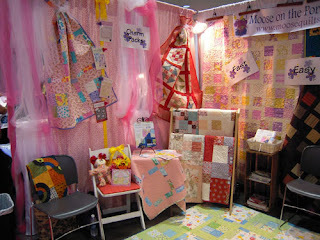 And for those of you who have found there way back to the sewing machine. I have a feeling that not everyone will have found their way back so there will probably be fewer blocks in this drawing. Also, I am taking the kids to see their great-grandma who lives a good hour a way. We will probably be home late. I may not be able to get to the computer before morning. I guess today has been one of those days. A moment ago I realized that I hadn't posted winners that should have been posted this morning. Sorry! Guess you had a little extra time to get into the drawing. I think I'm not the only one a little distracted. There were half as many blocks posted as usual. 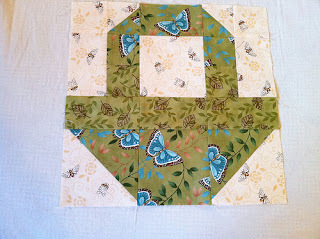 Don't worry if you didn't get your block done, just post your blocks as you get them done. They will be entered into the next drawing. Thanks everyone! Those who have won, be sure to send me an email (kluckau@moosequilts.com) with your mailing address so we can get those out to you. Include your flickr name so I know who you are! The next deadline, for Block Four, is December 28th. 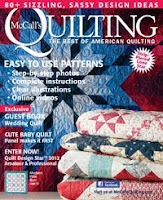 Hi, my name is Sherri McConnell, and I blog at A Quilting Life (http://www.aquiltinglife.com/). I come from a family of sewers and quilters and received my first sewing machine from my Mom when I was 10; my Mom also signed me up to take sewing lessons at a local Singer shop at about the same time. I made a majority of my clothes during high school and worked at a fabric shop, Cloth World, until heading off to college where I graduated in English and taught at the college level for a while. 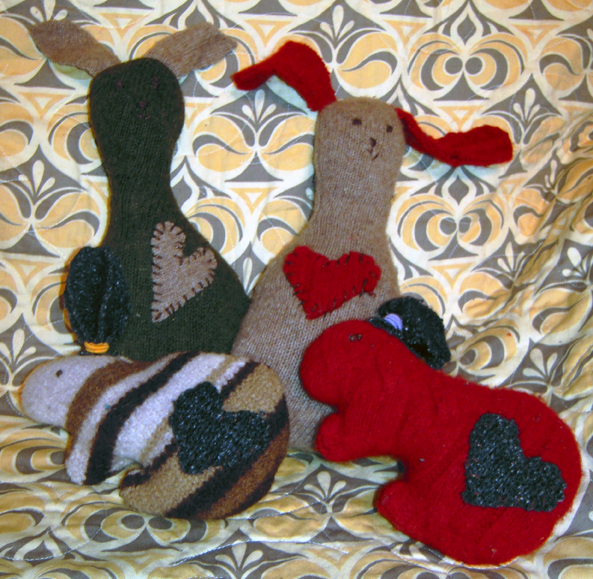 I have four children; however, only one is still at home--leaving me quite a bit of time to sew and create! I definitely appreciate my husband and children for supporting me in all my quilting endeavors! 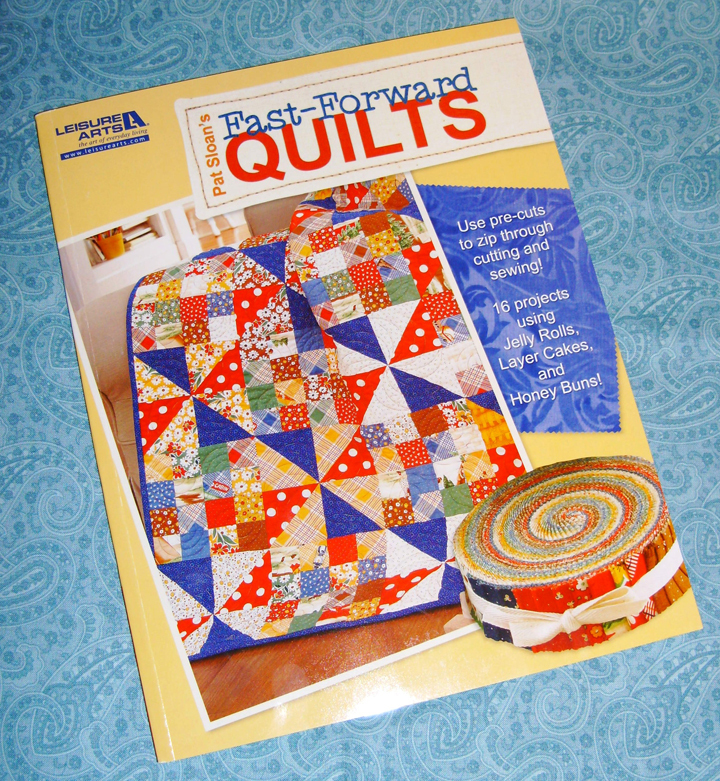 I've been quilting for about 17 years...thanks to my wonderful Grandmother who bought me an Eleanor Burns Double Irish Chain Quilt-in-a-Day book...and I haven't stopped since! I started my blog in July 2008 as a way to record my projects...and have appreciated so much the inspiration and friendship from other bloggers around the world. 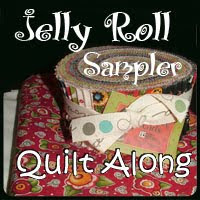 I loved the Jelly Roll quilt along...it was a terrific way to make a quilt from a jelly roll that would still be sitting on a shelf if I hadn't participated! 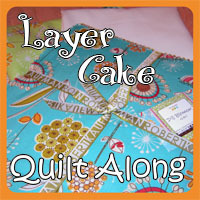 I think this Layer Cake quilt along is going to be just as fun! I love stars and snowballs so thought I'd combine the two for my block! CLICK HERE for the instructions to Block Four. 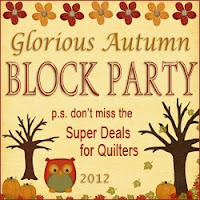 and here's the picture of my block! Interesting how the bright yellow doesn't stand out as much as I thought it would because the fabric is so busy. Oh, I decided to use two layer cake squares for the background instead of the background fabric. You decide what you want to do. Well, any pictures posted in the flickr group by tonight will be entered into the first drawing. 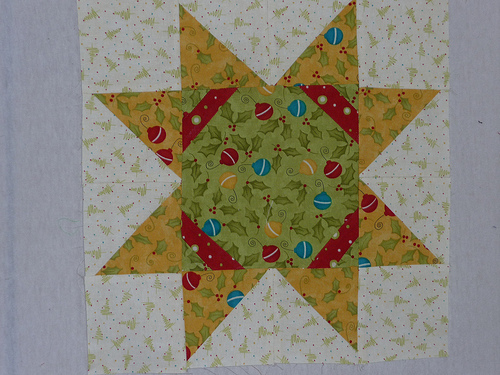 About 10 ish tonight (Mountain Time) I will post my Block THREE. All blocks BEFORE mine are those entered into the first drawing. It doesn't matter which block - just the one's posted before mine. If you post your block AFTER mine, then it will be entered into the next drawing. I will post the winners tomorrow. 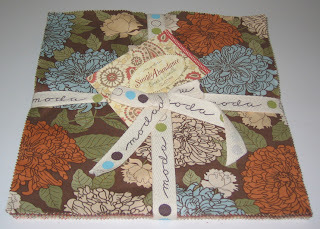 Sherri has generously donated 2 charm packs of Aviary by 3 Sisters for Moda AND a handmade pincushion! And I, as always, have a couple additional prizes to add. 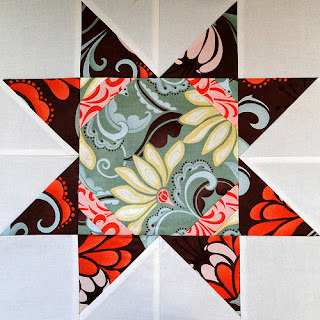 Take a look at my new tutorial posted over at Moda Bake Shop today! This is one of those quilts you just want to wrap up in. Oh my stars, knitting is hard! Just look at this mess! This started in October when I wanted to knit a headband/ear warmer thing. I can half crochet, but all the ear warmers I liked were knitted. 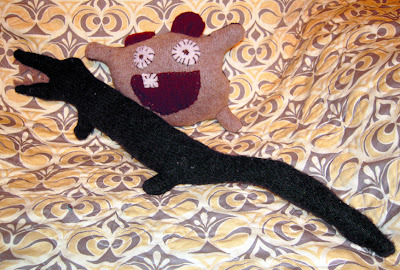 I have been shown how to knit once or twice. How hard could it be? I know -- stupid question. 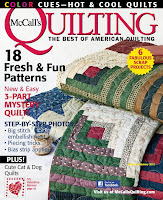 I bought a magazine that had good pictures showing how to cast on and knit and purl. 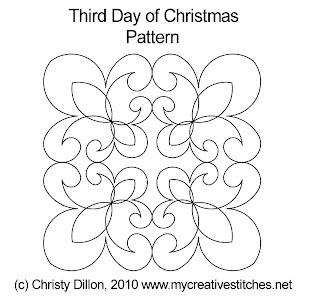 I purchased a pattern. It started off with ribbing -- alternating the knit and purl stitches. Tried that a dozen times before putting it all away. Picked it up again last Sunday. This time I decided to first learn to knit, then learn to purl before putting them both together. I carefully went through the pictures. It took me another dozen tries to realize I was casting on incorrectly. 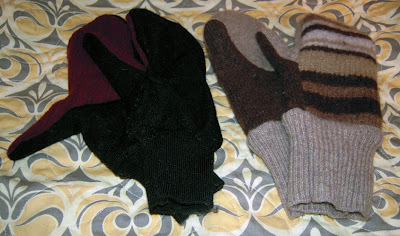 Once I was casting on right, it only took several more tries to figure out how to knit. 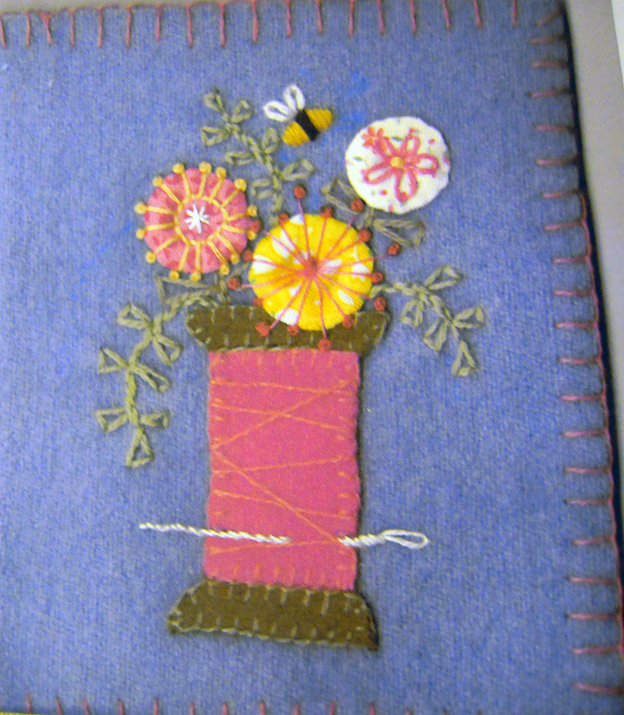 Then I tried to purl. Again, it wasn't too bad. Took a several tries, but before long I had a stocking stitch -- that isn't the right term. I was very proud of the small swatch above before I attempted the ribbing again. I have no idea what I am doing -- obviously. For some reason I have twice as many stitches as I did before. There are two or three rows there of alternating between knit and purl. Because my stitches kept multiplying, the needles are not long enough to hold it all so I dropped one of the stitches. Oops. And thus we see the benefit of a teacher. That swatch has been ripped out for the 32nd -- ish time, and I will find a teacher before attempting the ribbing stitch again. If you know how to knit, or even if you don't, please feel free to laugh at my mess. I certainly am. So none of these are from me, but I found a few folks spreading Chrismas Cheer online and thought some of you might be interested. 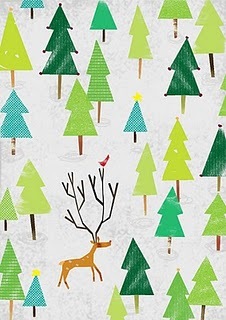 First, this Christmas Card is from one of my favorite fabric designers, Amy Schimler. 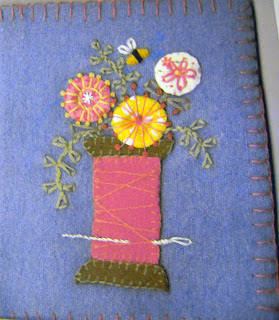 The link is: http://redfishcircle.blogspot.com/2010/12/christmas-present-for-you.html The picture shown here is the front part of her card. 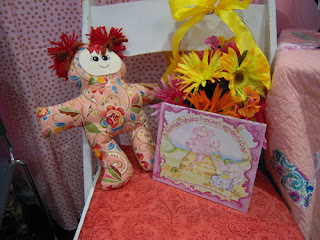 Go to her blog for one that is printable -- for personal use only. 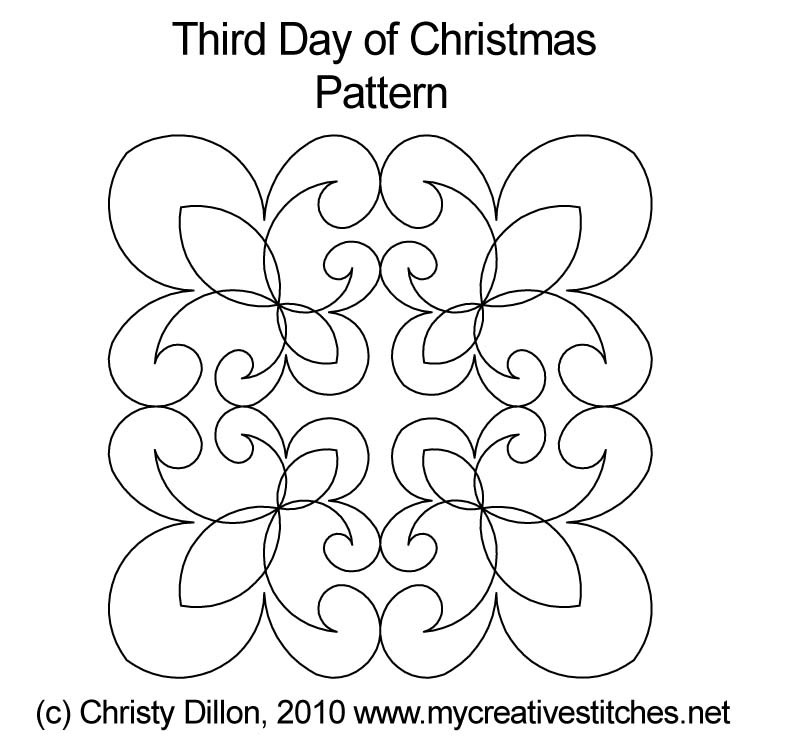 FYI, I have downloaded these patterns, but I have not tried them. I have a Statler. I don't know how well they run. Okay, okay, fourth -- here's a preview. . .
it is from me. 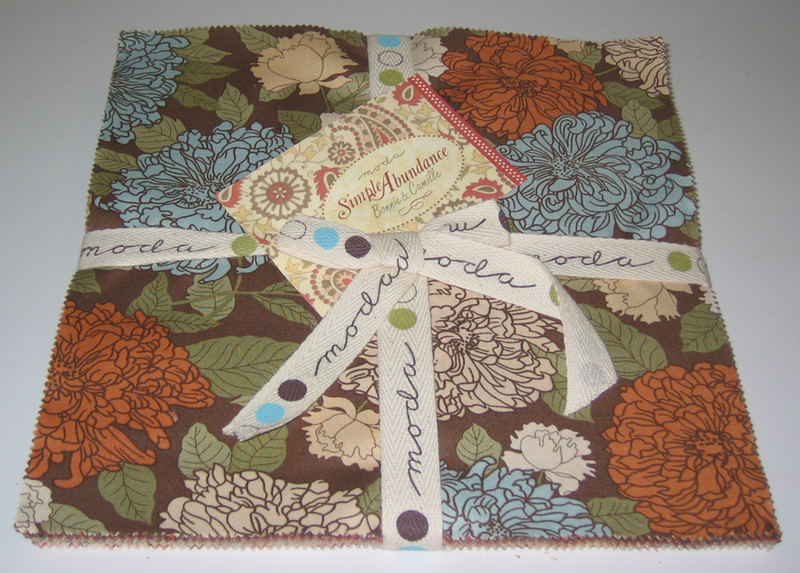 It is a Moda Bake Shop project that is scheduled to post next Friday, Dec 10th! It's made with Kansas Troubles Wrapped in Paisley. Yummy! We are getting ready to get a Christmas Tree. The kids are going stir crazy waiting for their dad to get home. Wish us luck! 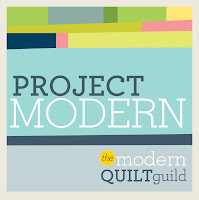 On Monday evening, as I was putting up our new block, I entered the Modern Quilt Guild Challenge. The challenge was to make a quilt based on an inspiration. You had to submit a photo of the inspiration. In my case, the photo was athe inspiration. It is one I had taken this summer. 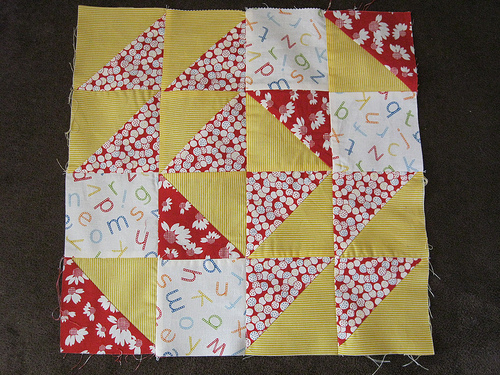 Here is the quilt. I have titled it, "It Had to be Orange." This challenge coincided with another challenge from my local guild. 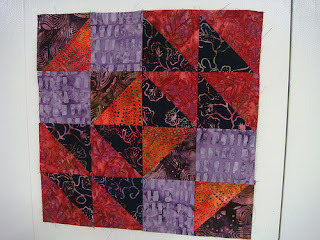 Their challenge was to use a color you don't like in a quilt. 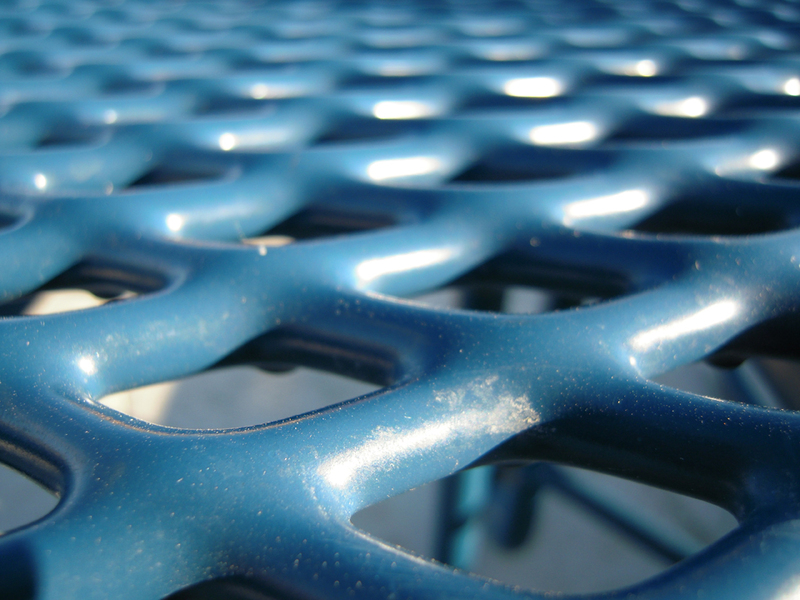 Thinking about those two challenges made me think of this picture I had taken earlier this summer. The picture is of the table I was sitting at while waiting for my children at swim lessons. I knew I needed to make it turquoise because turquoise is the color of the year, it's been wildly popular, and I have been impatiently waiting for its season to end. I purchased Kona cotton turquoise just to be sure I had the right color. I almost chicken out and went with aqua, but I persevered. 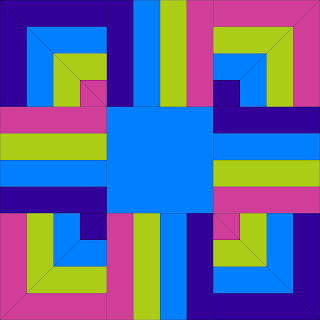 I thought about making the quilt a more literal interpretation of the picture, but I decided to go with a more artistic approach. 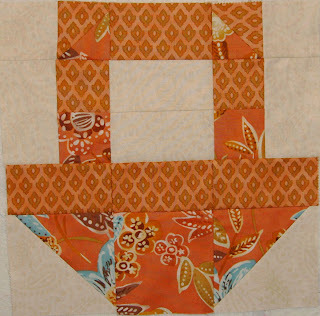 I considering what fabric should go with my turquoise, I knew it had to be orange. 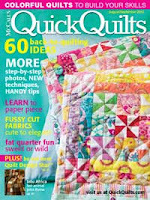 While I haven't loved turquoise in quilts, I have always liked blue, so there are times when I was okay with it. 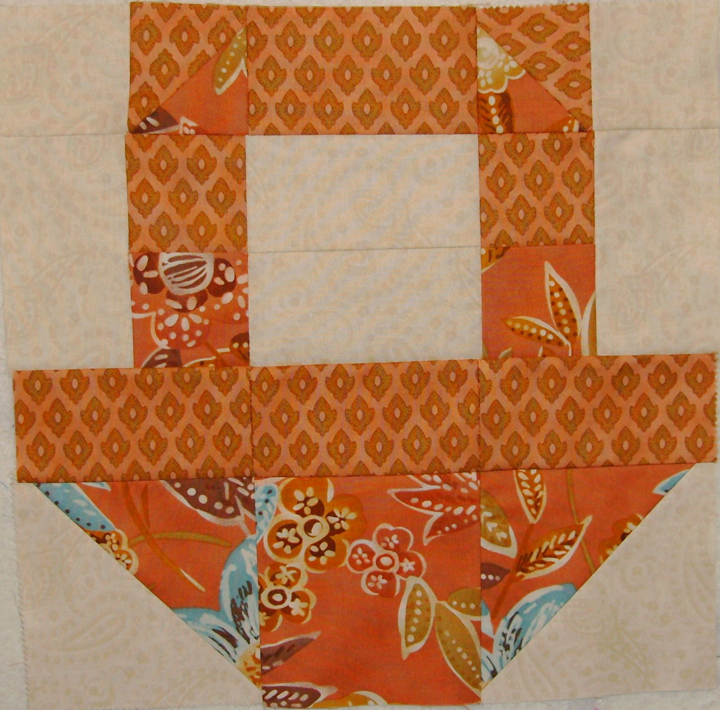 Orange, on the other hand, has always been a challenge for me to use in quilts. 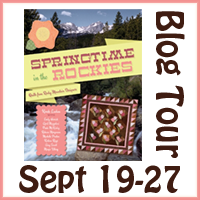 Once I decided on orange, I went right to Hope Valley. 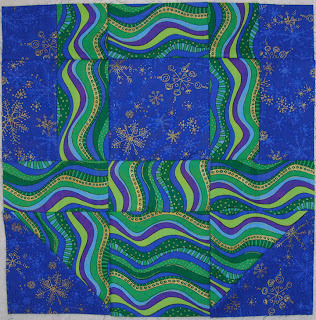 I have fallen head over heels in love with the blue and green color way of this line and struggled to use the orange and pink color way. I placed my hope in the fact that I loved the rest of the line. 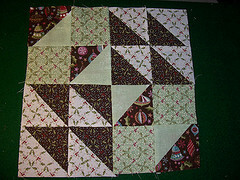 Deciding on the piecing came naturally from the picture. 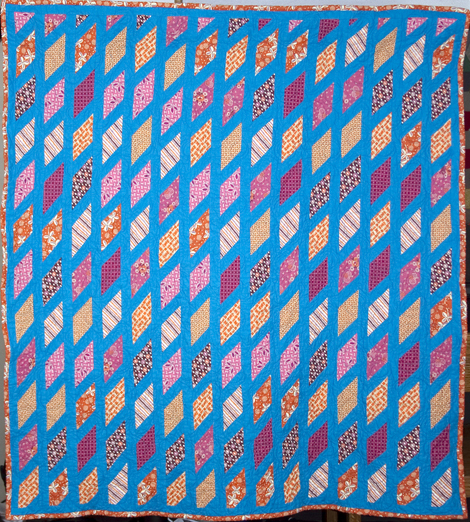 It reminded me of the diamonds in a lone star quilt. I have only made a lone star using half square triangles, but I decided that this was a challenge, and I pieced diamonds together. 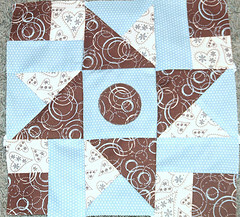 I quilted it with a swirly wave type design in honor of the swimming pool. In the end, I turned my quilt sideways because I liked the look better. 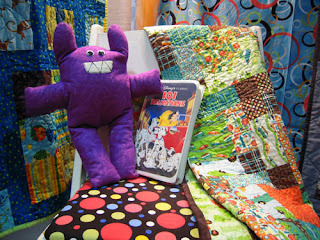 I put orange minky on the back, so this is a quilt I love to sit under and read to my little ones. 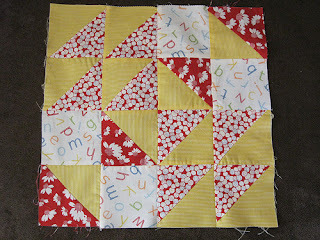 I am thrilled with the way it turned out, and I never would have made it were it not for the two challenges I received. It was a really fun challenge. I learned that I am not very good at piecing diamonds. I even starched them. My friend learned never to let me borrow her ironing pad while starching my diamonds because the Best Press that I picked ended up smelling a little too flowery for both of us, and she may need to wash her ironing pad to get the smell out. Sorry Karen. 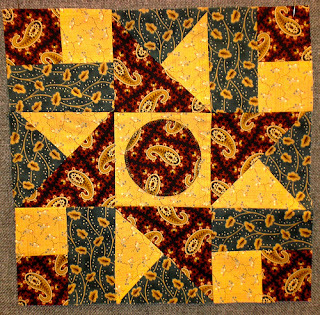 I also learned -- again -- that sometimes we just have to keep sewing and not judge the results until the quilt is finished even when its scary. 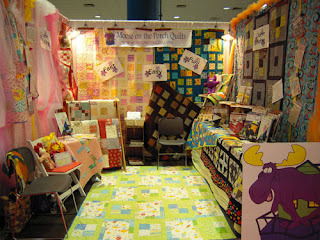 To finish off, here's my favorite picture of my quilt. 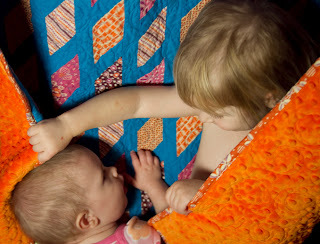 I had two little helpers during my "photo shoot." I call it that lightly. 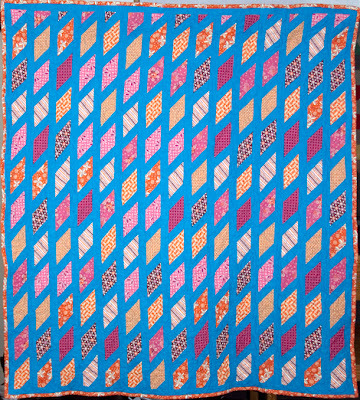 My picture of the quilt didn't turn out great. But I am not too worried about it. I entered the challenge to have fun with the challenge. I am pretty sure I won't win. So. . . . some plans have been altered -- a bit. 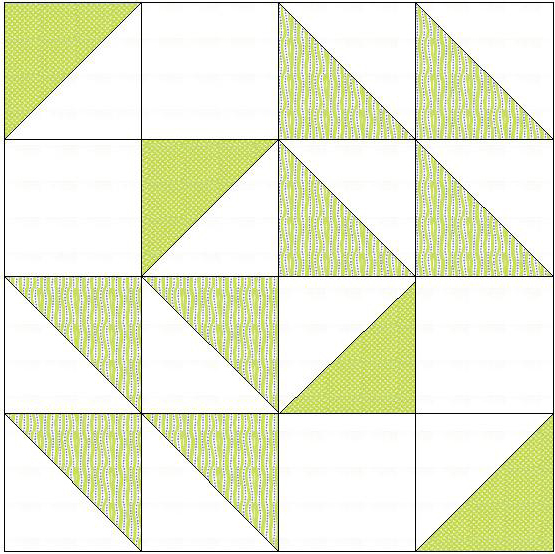 Doing a quilt along this way is about as much as a mystery to myself and the designers as it is to all of you. It is definitely an interesting challenge. The layout I had planned looks like it isn't going to work out. Not to worry -- I have worked through a few scenerios and have come up with Plan J. 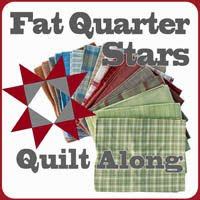 Those using fat quarters may still be able to go with the original layout. 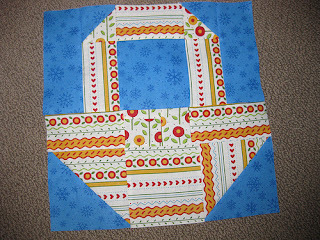 Once our blocks get finished, I will give you Plan A and Plan J layouts. I know some of you will come up with equally fabulous layouts of your own. In the meantime -- save all your scraps. 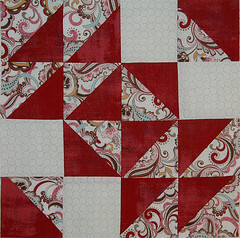 You can use them in other blocks if you want, but don't toss them or repurpose them just yet. Don't get worried about needing more fabric. I will make sure the layout works within the parameters I have set. Thanks for staying flexible with me! Congratulations are in order -- more winners! The next deadline, for Block Three, is December 14th.